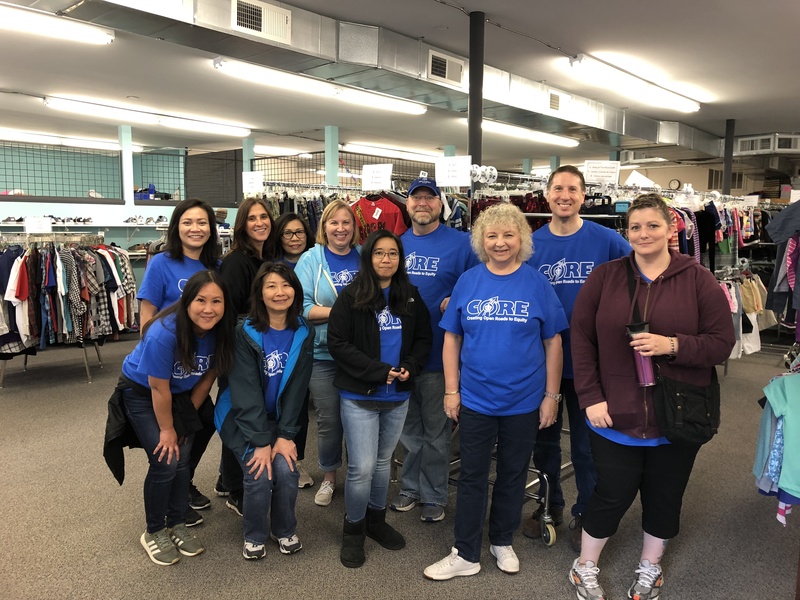 As September rolled around, Heritage employees jumped at the opportunity to give back to their communities by volunteering for the annual United Way Day of Caring in their county. 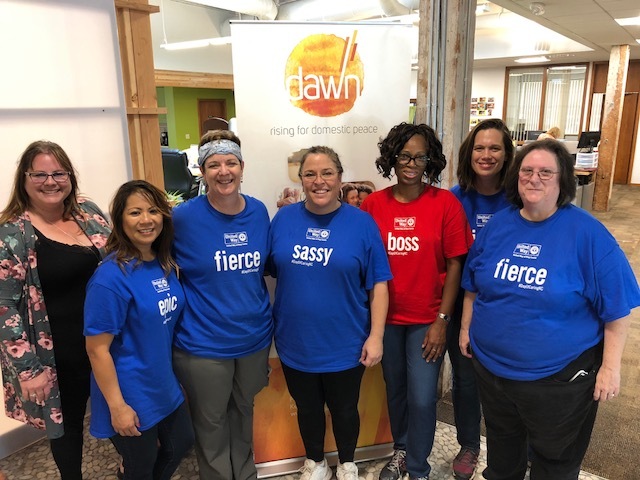 Day of Caring is one of the largest volunteer events in Washington where individuals and organizations come together to complete projects for nonprofits throughout our communities. The projects range from home maintenance, landscaping, painting, packing food or clothes, and more. In King County alone, there were 10,500 volunteers, 370 projects completed, 225 different nonprofits, and $100,800 worth of volunteer labor! Here are some photos of our employees in action during their county’s Day of Caring. Employees assisted by cleaning the grounds and replanting flower beds that have long been neglected. They also helped build a p-patch garden at our shelter to allow survivors the opportunity to work with their hands and spend time recovering in the garden space. 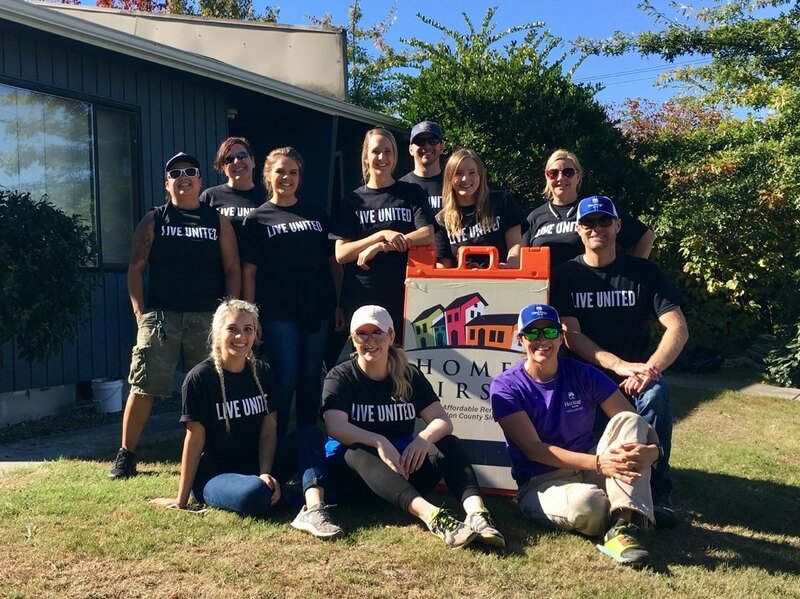 This team joined PTPB to paint the homes of low-income, elderly and disabled homeowners in Tacoma. Thankfully we had some brave employees there who weren’t afraid to climb the tall ladders! 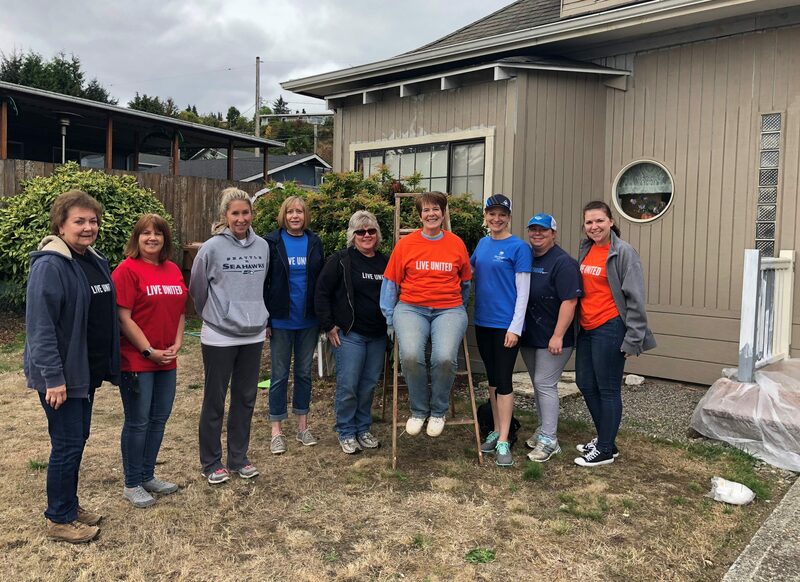 A group of employees assisted Homes First in some much needed yard work at one of their properties. This rock star team finished the first house so quickly that they had enough time to “hop the fence” and work on a second property next door. Employees spent the morning packing food into to-go bags which are then carried on to school buses and handed out to homeless kids as snacks. 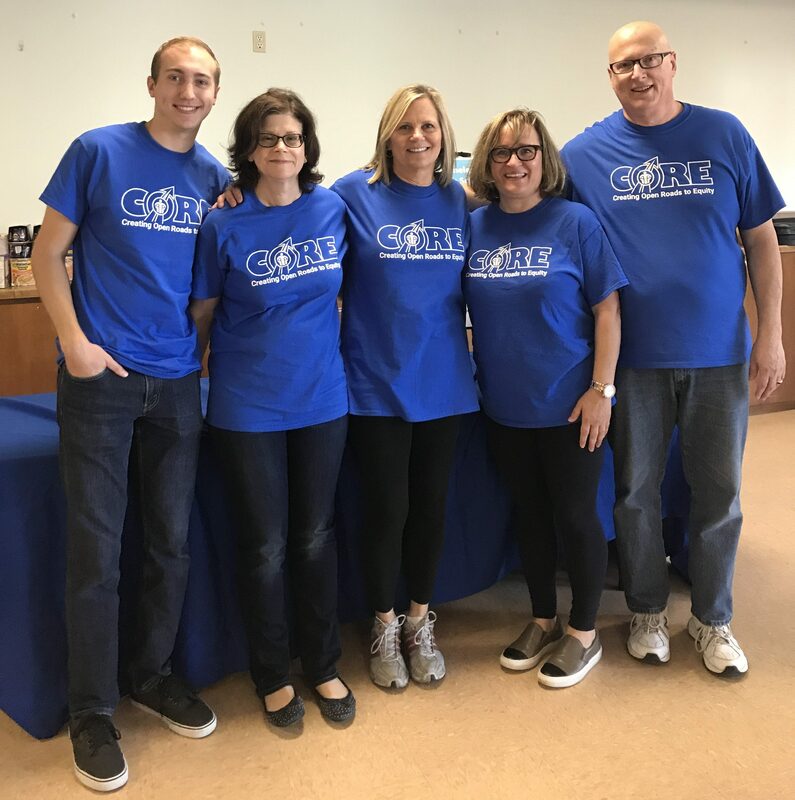 Our Loan Documentation team spent Saturday morning and volunteered their time sorting, folding, stacking, and organizing donated clothing items and school supplies. Clothes For Kids provides free clothes and supplies to students whose families qualify for free or reduced meals at school.